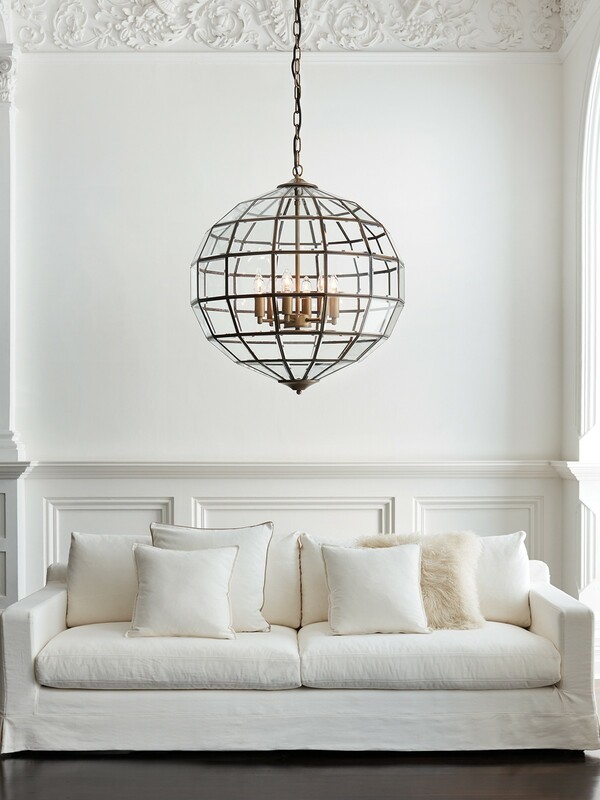 The Saville is a grand traditional pendant with three-dimensional octagon shade, available in a 4 or 6 light option. 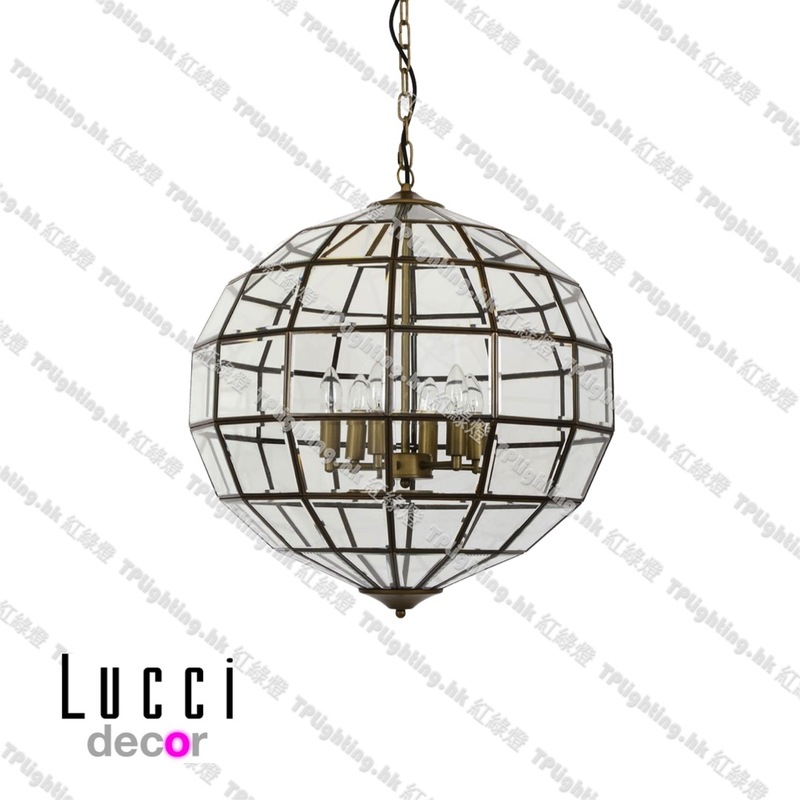 It has an internal candelabra which is delicately surrounded by dozens of glass panes that refract the light. 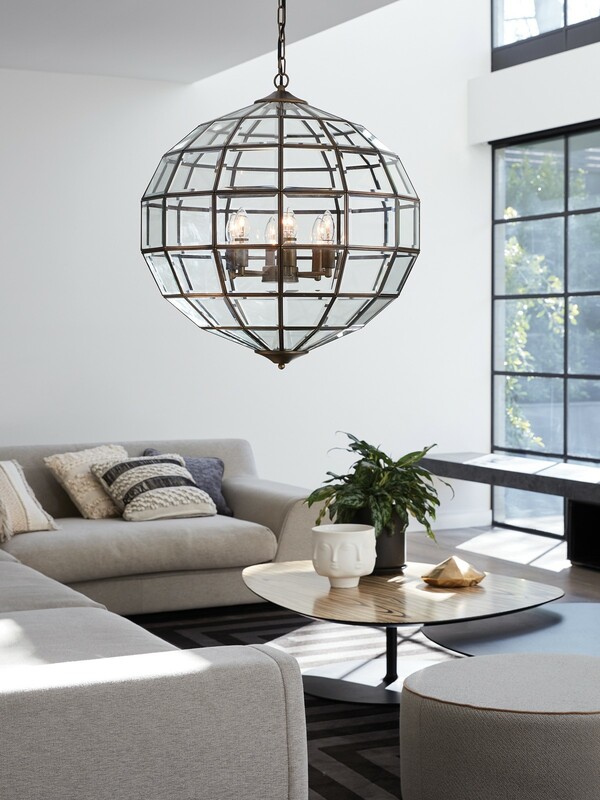 These oversized solid brass pendants ooze opulence and a sense of luxury making a beautiful statement placed in an entry way or dining area. 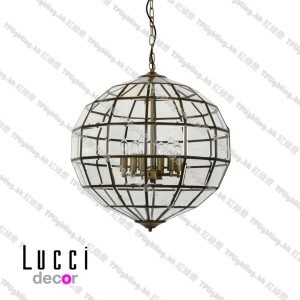 Please note: To change the globe or clean the inner glass, simply open the hatch located on the outside of the pendant. This product has very intricate detailing with the glass paneling so It is important to take very special care when handling as the glass during cleaning and installation as the glass on this fitting cannot be replaced. 編號: 3689. 類別： 原創吊燈 Pendant Light, 古典吊燈 Classic Pendant, 簡約吊燈 Simplicity Pendant. 標籤： 特價燈飾 Seasonal Sale.